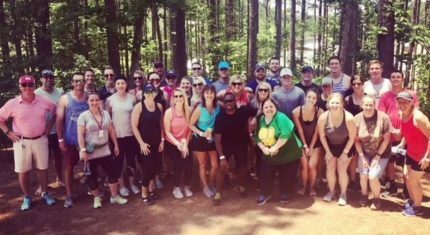 Jennifer Law and Sarah Lytton tell us about Lockton’s employee wellness program and how the organization encouraged and persuaded its staff to take part and become ambassadors of the program. 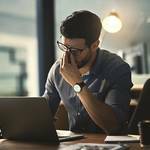 The continuous pursuit for work-life balance has resulted in an overlap between our professional and personal health. Studies continue to reveal that healthy employees make happier, more productive employees and therefore corporate wellness programs are rapidly becoming the norm in most proactive companies. However, when it comes to the overall benefits of wellness program engagement, it still requires a change in one’s lifestyle plus a little extra effort to reach viable outcomes. Whatever their reasons, some employees still need a little encouragement… or persuasion to participate. This year happens to mark the 200th Anniversary of Persuasion, the last of Jane Austen’s completed novels, which was published in 1818, several months after her death. The novel was so named by her family due to the various characters who attempt to influence, encourage and persuade others, including themselves. This classic story of complex characters and personal opinions immersed within a range of social situations reminds us that sometimes we find ourselves the beneficiary of a compelling incentive to move in a certain direction – ideally a positive one. Every company has a different culture and various approaches to promote corporate initiatives. They must find a process that appeals to the needs and values of their people, then continue to share the inspirational message to make it last, like a classic novel – or a sustainable story. This is ours. The goal of this wellness program was to use a proven science-based strategy to improve Associates’ health and decrease the company’s rapidly increasing medical risk. In addition, this was an opportunity to set a good example for our clients and the industry overall by practicing what we preached in terms of managing risk. One of the foundational elements of wellness programs is to focus on all facets of well-being. Following our own consulting advice, our company began to think holistically about employee health from all facets of well-being. 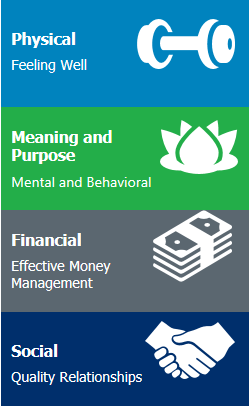 Aside from just physical health, additional components including meaning and purpose, financial and social health were integrated into the program – recognizing the significant relationship between each of these dimensions. Multiple studies have shown that people are more likely to engage in physical activity when they are influenced by active peers and even their spouses. 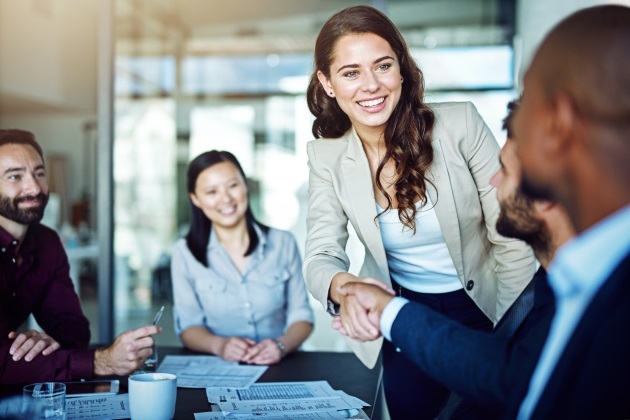 From the moment a new hire candidate finishes up their first interview at Lockton they have already been informed by their future manager about the wellness program. Then upon hire and orientation, they are bestowed with pamphlets, emails, and links about the program. During the first few weeks on the job, other Associates typically start sharing progress, step counts, and personal success stories. This is a typical topic of conversation that comes up at least once a week. The core of Lockton’s wellness strategy involved tapping into the science of digital social network platforms and their influence on people’s health. 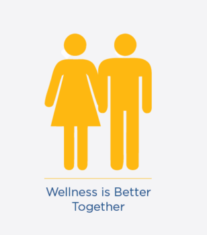 The wellness program was integrated into Associates’ work and personal lives – which included the establishment of local office peer program ambassadors, authentic leadership involvement, wearables, virtual team challenges, team outings, financial/money management tips, and the inclusion of spouses into the program. Daily mobile app feeds also provide helpful info, tips and customized goals as constant motivators to stay on track. Whether it is peer pressure, inspiration, or persuasion, 98% of Associates reported feeling encouraged by Lockton participants to engage in the wellness program. Lockton’s commitment to integrating its wellness program into its culture has led to positive results and national recognition. From healthcare premium discounts to accumulating points towards rewards for exercise and nutrition, overall incentives are proving to be meaningful and achievable as demonstrated by the resulting data. To date, employee engagement levels, work satisfaction, job performance, and turnover rates have all improved since the program’s launch. We have found that higher engaged individuals generally have higher corporate performance attributes and a 6.7% net improvement in risk. In addition, we are seeing reductions in claims costs as over 85% of our Associates consistently participate in the wellness program core components year after year. Lockton has been recognized by Business Insurance as the Best Place to Work for 9 years running and received honorable mention for the C. Everett Koop National Health Award in 2014. Numerous offices, including Charlotte and Chicago, have been named Best Places to Work in their respective states. With the program in its 7th year, Lockton regularly evaluates the progress of its Associates. We will continue to evolve and determine the need for new features or improvements. “The company has created an environment where taking personal responsibility for health and engaging in healthy behaviors has become the norm”, says Theresa Schnelle, Senior Vice President of Human Resources Operations and Total Rewards Manager at Lockton. Going forward, success will continue to benefit from Associates (and their spouses) spreading contagious enthusiasm while sharing success stories to persuade others to engage. If healthy employees = happy employees, and happy employees = productive employees = happy customers/clients, then we hope to see returns on the business side in the near future. But that is another story. Bio: Jennifer Law is a Certified Professional Ergonomist and Senior Consultant at Lockton. She has 14 years of consulting experience within various industry sectors developing strategic corporate safety and ergonomics programs. Bio: Since 2014, Sarah Lytton has worked with the Health Risk Solutions and Employee Benefits teams to assist in the planning, implementation, and evaluation of client health management programs. She strategizes with organizations to build comprehensive wellness plans. If you would like to read more articles about employee wellness programs, please click here. Providers of ergonomic solutions, office ergonomics, workplace ergonomics and more in the US. Cardinus are specialists in office ergonomics. Over 2,000 companies use our software to reduce office ergonomics and materials handling risk. Our products include office ergonomics, materials handling and lab ergonomics for home and mobile workers. We provide ergonomics risk assessments and training programs to help your staff stay healthy and injury-free. Contact Cardinus today to find the perfect solution for you.